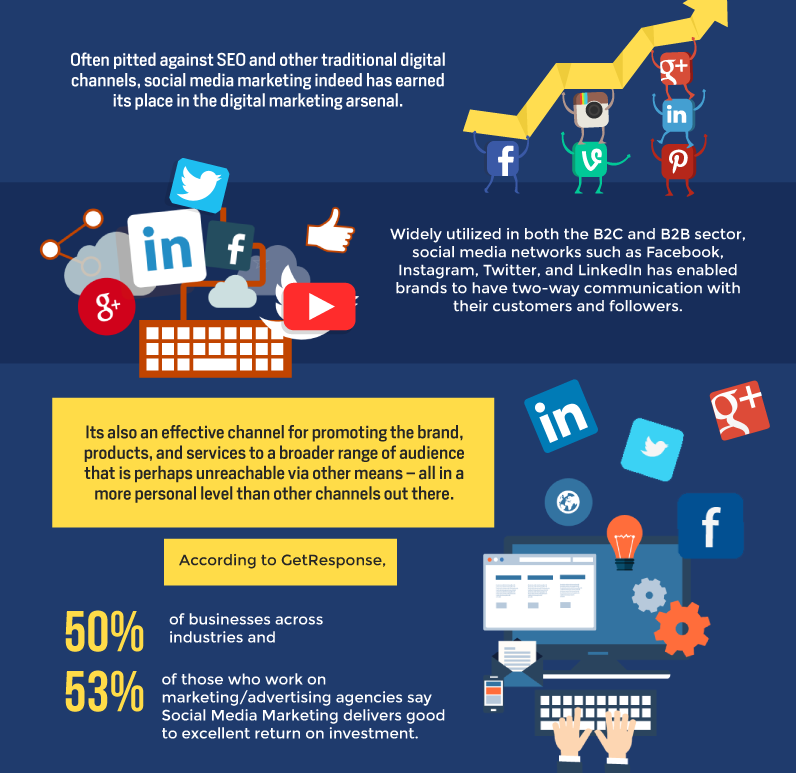 Which Digital Channels Deliver the Best ROI ? Are you in the process of finalizing your digital marketing strategy for 2019? Before you decide which digital marketing channels you should focus on, it is but imperative that you completely understand how each one has performed for the past recent years. Just as you wanted to utilize the channels that will get you the most out of your time, you also want to make sure that you will only be investing in channels that will deliver the maximum ROI for your money as possible. Selecting the right combination of channels is crucial for ensuring the success of your overall digital marketing campaign. 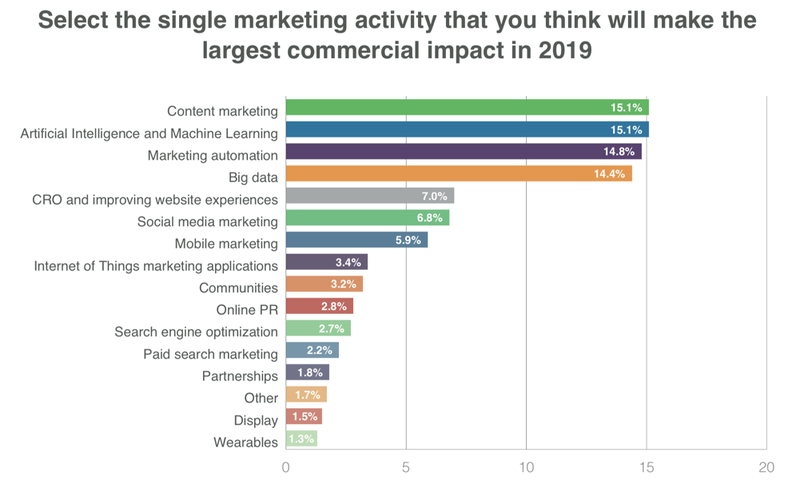 San Diego-based Ignite Visibility recently released a new study which highlights a growing shift in digital marketing. The study surveyed businesses in six revenue brackets – under 1 million, 1 to 5 million, 5 to 10 million, 10 to 20 million, 20 to 50 million and over 50 million – in order to gain insight into how they would be investing in digital marketing over the next two years. 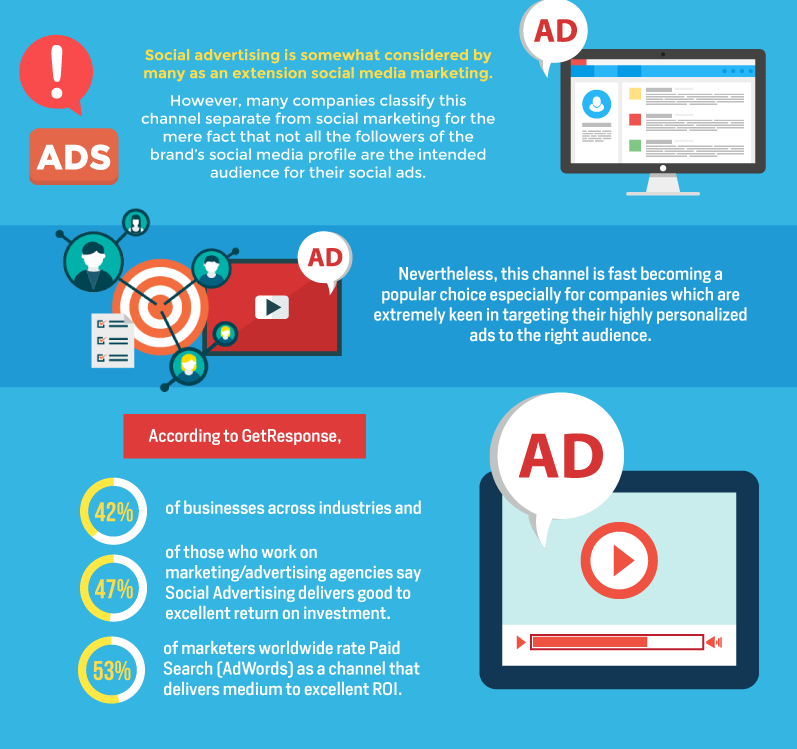 Additionally, the study analyzed which digital marketing channels would be most popular. The findings reveal an overall shift toward online marketing channels across all business categories. They also reveal that many smaller businesses still struggle to effectively measure ROI and conversion rates. 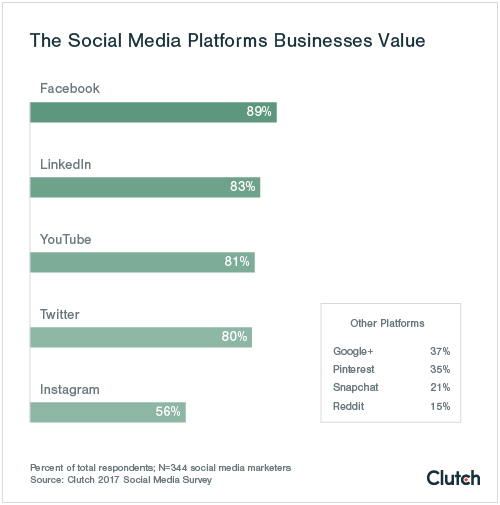 Furthermore, social media is by far the hardest channel for businesses to manage. “We’re seeing a large shift from offline to online because digital channels are more trackable and generally produce a higher ROI,” continued Lincoln. 53% of marketers say blogging is their top content marketing priority. The most successful marketers spend 40% of their total marketing budget on content marketing. The average for all respondents is 26%. 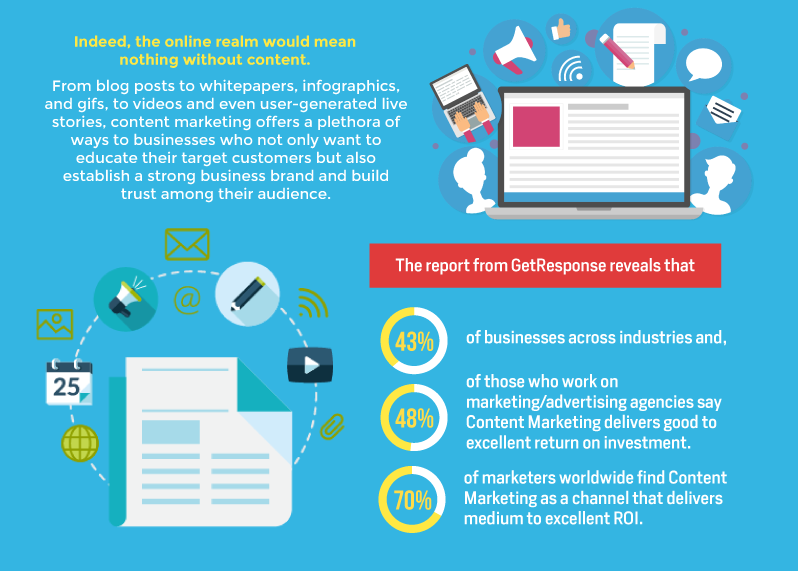 Content marketing revenue will exceed $300 billion by 2019. 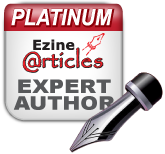 Here are some of the biggest challenges when it comes to content and email marketing. Limited internal resources 28%, lack of strategy 28% and lack of content 23%. As of July 2018, 90.46% of people use Google as a search engine. Bing is 3.13% and Yahoo is 2.21%. SEO leads have a 14.6% close rate, while outbound leads (such as direct mail or print advertising) have a 1.7% close rate. 18% of local searches done on mobile devices lead to a sale within a day. 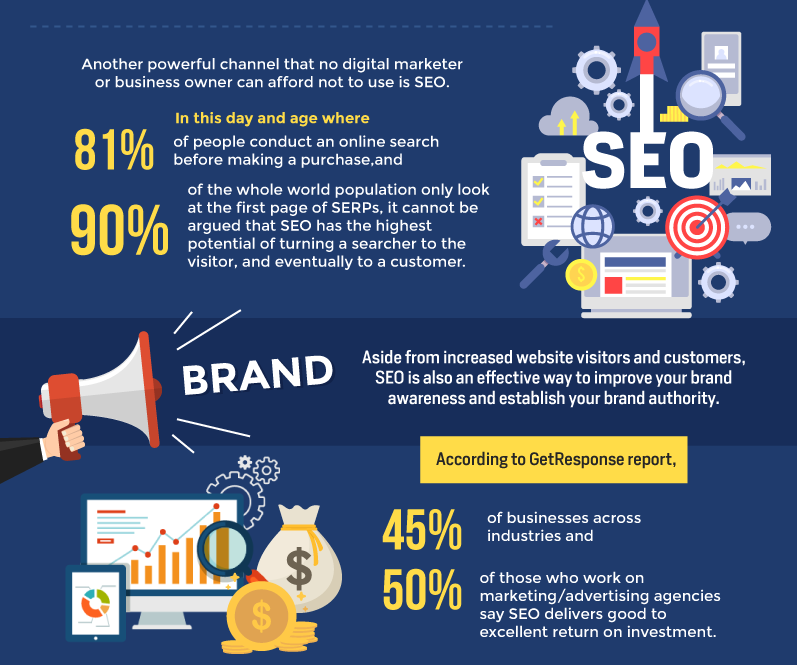 In 2017, 48% of 1,200 global digital marketers say on-page SEO is still considered to be the most effective SEO tactic. There are now more than 50 million small businesses using Facebook Pages to connect with their customers. 4 million of those businesses pay for social media advertising on Facebook. Facebook ranked second in a December 2017 survey of senior ad buyers in the US as the platform to drive the most ROI. Google Search was named No. 1. 94% of marketers use Facebook advertising regularly, which translates to about 3 million businesses that use Facebook for marketing. Top brands on Instagram are seeing a per-follower engagement rate of 4.21% which is 58 times higher than on Facebook and 120 times higher than on Twitter. 25% of Instagram ads are single videos. 60% of internet users have an annual income of $100,000 or more use Instagram. Instagram ads grew by 28% in the second half of 2017. There were 134,000 Instagram ads in July 2017, but ultimately hit 171,000 Instagram ads in December.